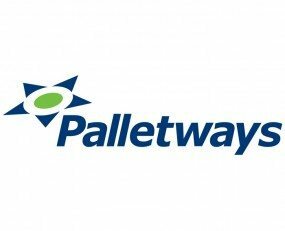 Palletways has welcomed 36 new members over the past 12 months to serve its growing customer base to move pallets across 20 countries. Growing to over 350 members, the network of members moves over 10m pallets each year and together serve around 50,000 customers around the continent. With 25 new members, the European network posted significant growth. The UK comprised of 11 of the new members with Transol Logistics and Foulger Transport being of particular interest. Other members who joined include Beaches Logistics Group MCL, Rapid Link Transport, Roberts Transport and Transvalair. Palletways Italia significantly developed its coverage with 17 new members joining the network. Palletways Germany has expanded its network with five new members including BMK Spedition + Logistik and Logistics Transport Solutions with the aim to reduce pick-up times from 48 to 24 hours. Three new members have also joined Palletways Iberia, one being Portuguese logistic company Moldtrans Group and another joining the network is Actividades Logísticas Centralizadas (ACL) who will provide coverage in the Madrid region.